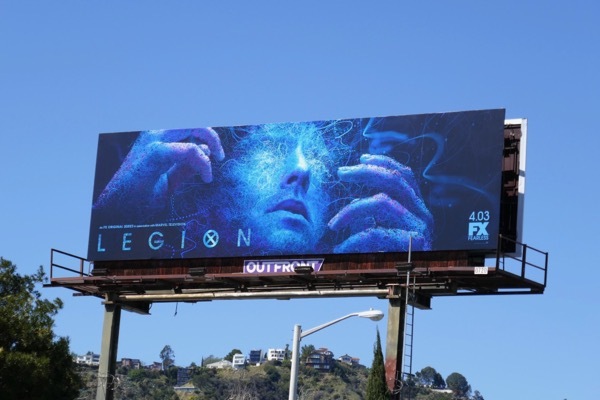 After a mind-blowing first season, Legion is back to burn your eyeballs out with its trippy antics for a sophomore season on FX. 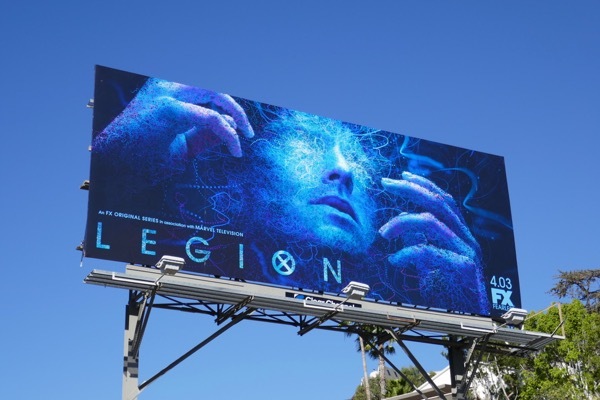 Set in the retro merry mutantverse inspired by Marvel's X-Men comics Dan Stevens returns as the powerful and mentally unstable 'David Haller' with a legion of voices in his head. 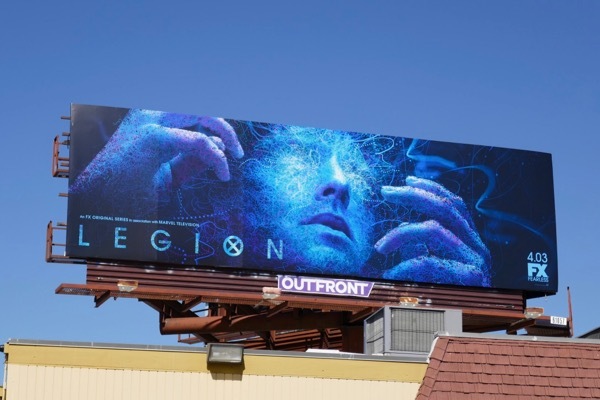 This second season will see new bizarre threats emerge, new alliances formed (between David's Summerland friends and the shadowy government Division III) and new sinister schemes by the psychic 'Shadow King' that once lurked like a leech in his brain. 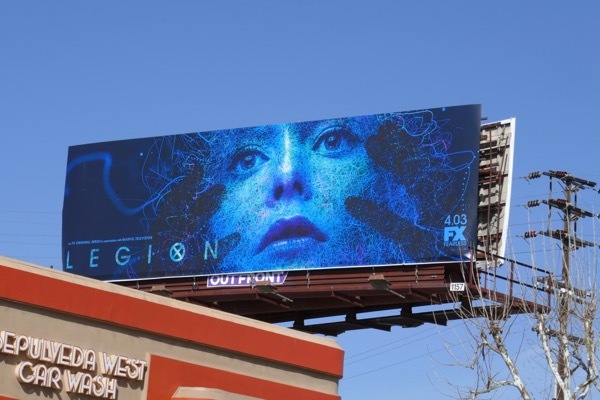 These striking season two billboards were snapped along San Vicente Boulevard, La Brea Avenue, Fairfax Avenue and the Sunset Strip from march 25 to March 28, 2018, although their impact is lessened slightly be the recent blue Atlanta season two billboards. 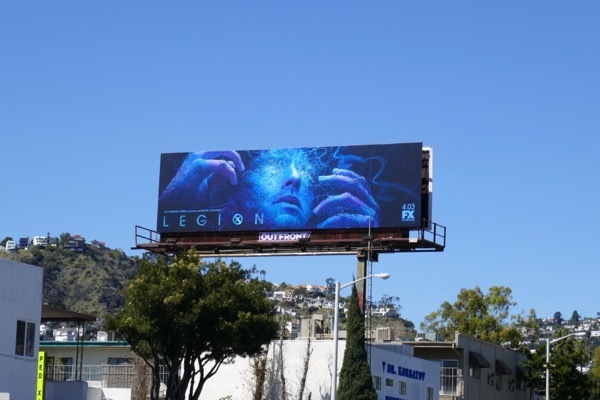 Fans of the Marvel Television show from Noah Hawley can also enjoy these Legion season one billboards from the beginning of last year. 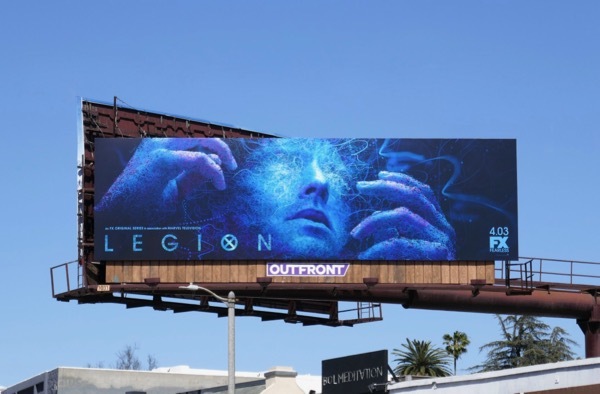 Meanwhile admirers of Dan Stevens can also check out these Beauty and the Beast movie billboards. 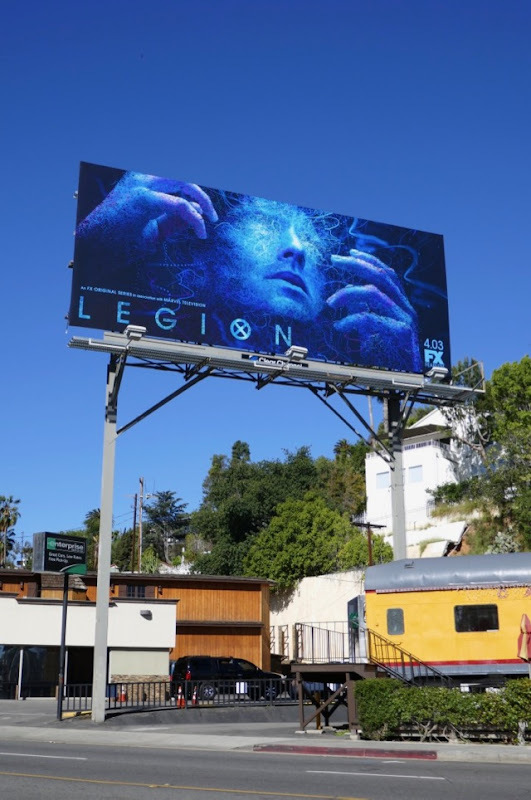 This season of Legion expect more mind-shattering revelations, more twisty trials and tribulations, more mutant mayhem and of course, more dancing. 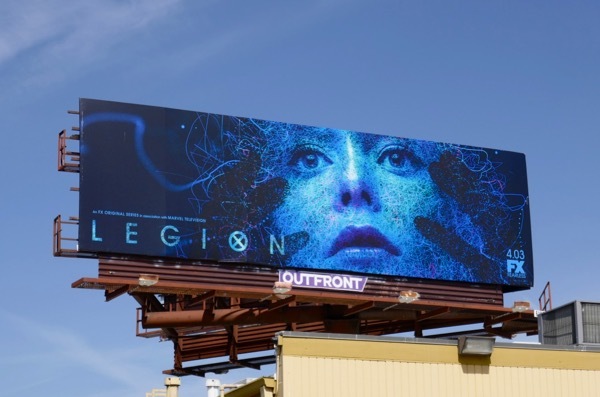 UPDATED: Some of these billboard sites have switched ad creatives featuring David's girlfriend 'Syd', played by Rachel Keller, whose mutant power coincidentally is to switch bodies with others. 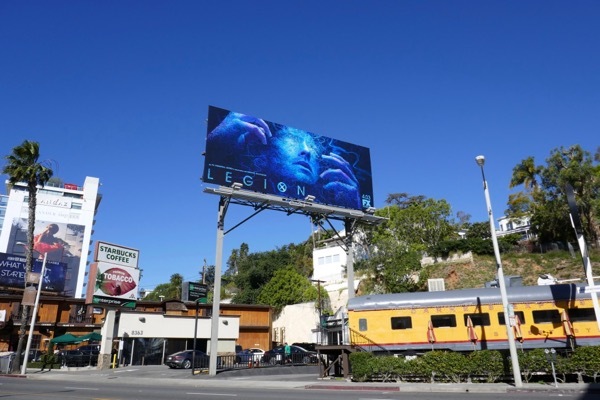 These equally arresting billboard versions were snapped along Sepulveda Boulevard and San Vicente Boulevard on April 8, 2018.